Shape: An acoustic nylon string guitar. Body: Body depth is 70mm(2 3/4") for best stage use meanwhile all braces and and timber thickness are same as at classical guitars and sound of the guitar is with clear highs and deep bottom. For cutting possible feedback is in the guitar special "feedback buster". Back side is 5mm (.200") thick for feedback resistance. 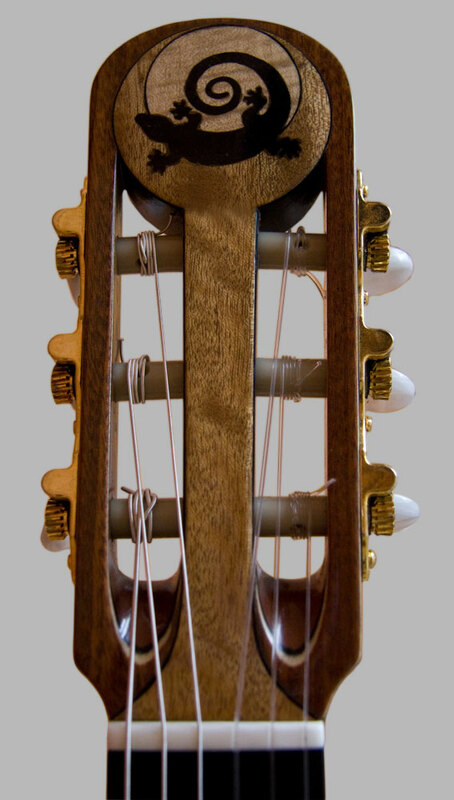 Soundboard: "Five Fan Braces" and side sounhole in the lizard shape. Pickup/Pre amp: Pre-amp is build into top board and include mix pot for blending under saddle piezo pickup with iBeam under bridge pickup. 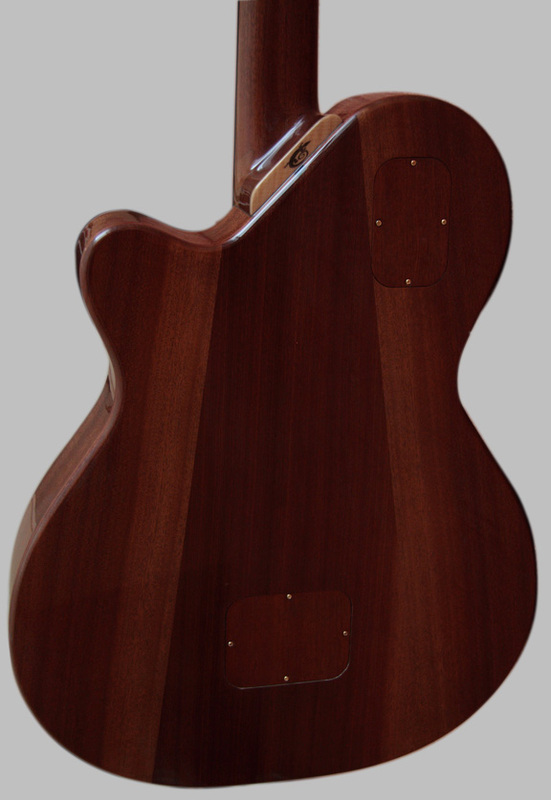 Neck: Neck is profiled in comfort "C" shape with 20" radius and 24 small frets. 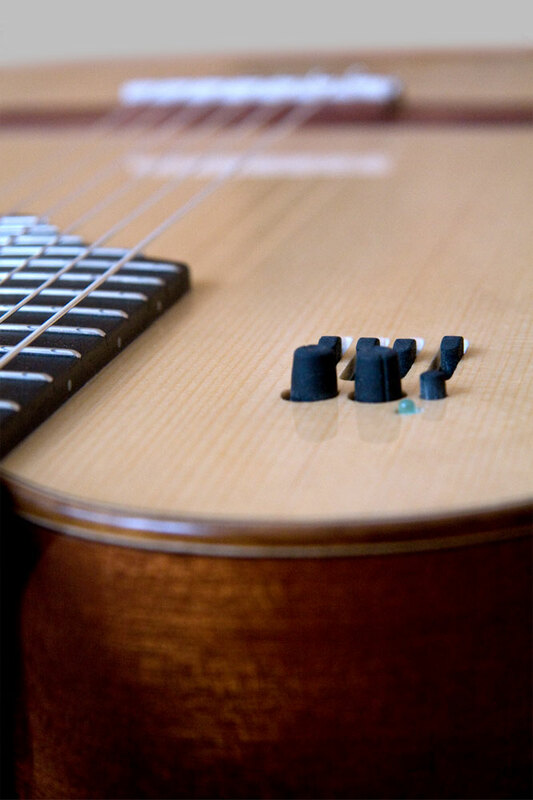 Angled neck body join is for easy access to higher part of fingerboard. 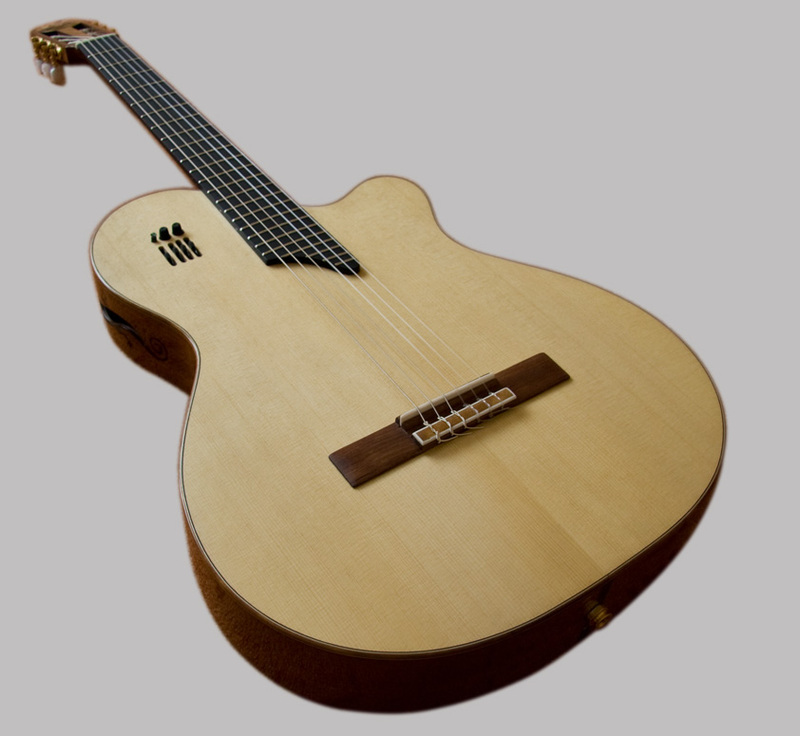 Other: Combination of the wood is common in classical guitars. Sound: Cross over guitar for live and studio work.